A small plate for the bread with a fresh decor by Gerard Laplau. 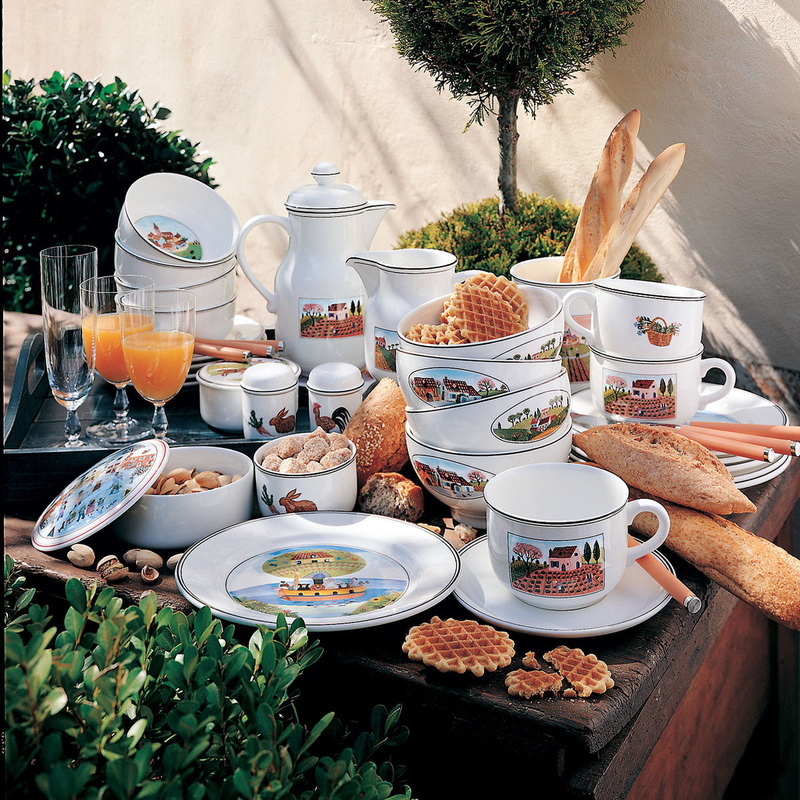 The dishes of the Naif collection by Villeroy & Boch are still contemporary and original as they were in 1979 when Gerard Laplau designed them. 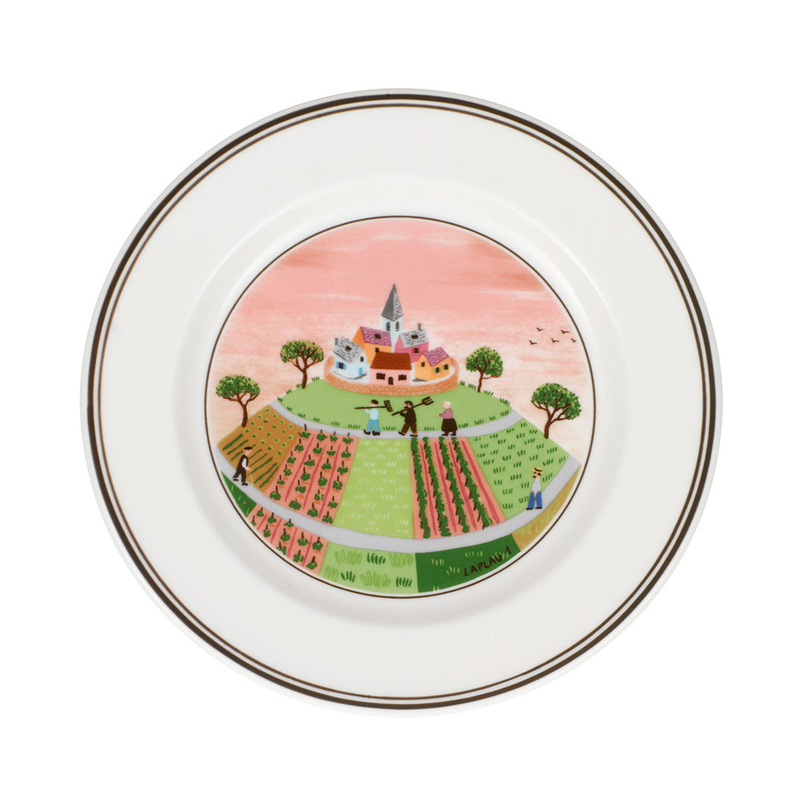 The very special decoration of this dish portrays a quiet country day, with a small village and three human figures walking down a sunny street. The typical colours and brush strokes of a naive painting are depicted in this decoration, always nice and up-to-date, despite its age. The dinner plate Borgo of the Design Naif collection by Villeroy & Boch is designed for bread, it has a diameter of only 17 cm. Clearly, however, its versatile and it can be used for many purposes: for example, it is a perfect dish to be used for breakfast or for the dessert. Its particular decoration makes this dish very cheerful and suitable for the setting of the table for everyday meals, but it can easily match also the most refined table, possibly in shades of white, not too contrast with the bright colours of this Villeroy & Boch dinner plate. The high-quality material used to make all Villeroy & Boch porcelain makes them resistant to prolonged use and dishwasher safe. These plates are durable and very resistant, you can also think of buying a single plate to use as a place where to put the keys and coins you have in your pockets when you go back home, thanks so its pleasant decoration. The Villeroy & Boch plates are also perfect as a small gift, and the Design Naif collection is very wide, allowing you to enlarge it over time with further additions. It is also possible to choose to buy a good number of plates with the same decoration, in a set of 4 or 6, to have a beautiful set of dessert dishes or for an informal buffet.